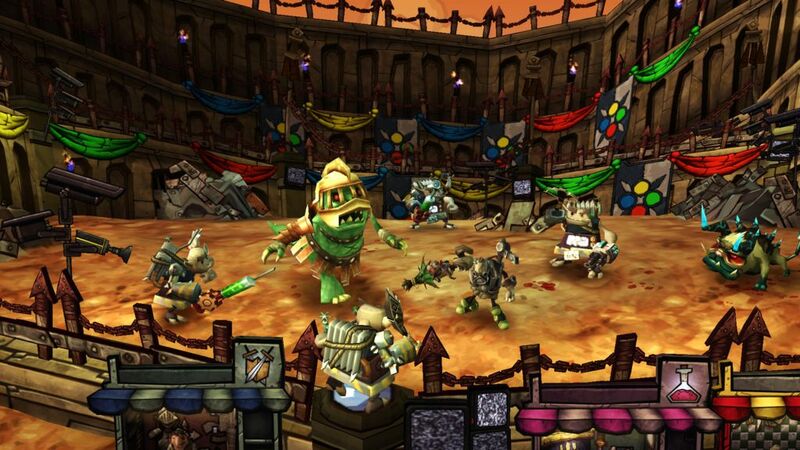 A veritable pile of games were released on Xbox Live Arcade this week. You've already read our thoughts on Rock of Ages and The Baconing (haven't you? 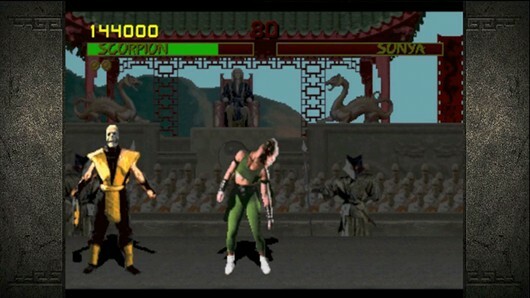 ), which leaves us with Mortal Kombat Arcade Kollection and Ugly Americans: Apocalypsegeddon. Arcade Kollection is essentially a known quantity, while Apocalypsegeddon is ... well, maybe it's a quantity that shouldn't be known. [iTunes] Subscribe to XBLA in Brief directly in iTunes. [Zune] Subscribe to the XBLA in Brief directly. [RSS] Add the XBLA in Brief feed to your RSS aggregator and have the show delivered automatically. [MP4] Download the MP4 directly. 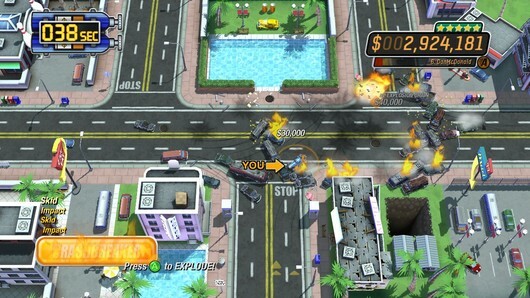 There are new Xbox Live Arcade games released every week. We realize that our readers are busy, attractive people, and may not have time to download and examine each and every new XBLA game. You've got busy, attractive person stuff to do, after all. Not to worry though, because we've done the work for you, downloading every single trial game and giving you a taste of what to expect. Watch XBLA in Brief every week to see which games deserve a closer look. When you have the time, of course. XBLA in Brief: Mortal Kombat Arcade Kollection, Ugly Americans: Apocalypsegeddon originally appeared on Joystiq on Wed, 31 Aug 2011 17:20:00 EST. Please see our terms for use of feeds. NBA 2K11 was damn good, but it wasn't perfect. How do you remind yourself of that fact when you're following up your franchise's most successful entry to date? If you're 2K, your approach is simple: instead of focusing on one super star, you cram as many as you can in there. NBA 2K12 boasts a NBA's Greatest mode, which allows players to step into the shoes of fifteen different NBA Legends such as Isiah Thomas, Magic Johnson, Bill Russell, Karl Malone, Wilt Chamberlain, Patrick Ewing and more. And these classic matches go beyond simply dumping you into a game and letting you go silly with a particular NBA legend. Each game has all of the presentation bells and whistles of the time, along with some insightful commentary that covers the entire career of the star in question. It's half homage, half history lesson. 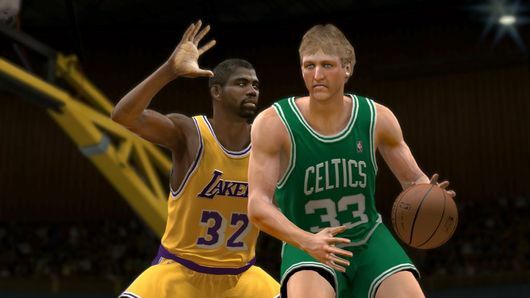 NBA 2K12 preview: Going up against the NBA's greatest originally appeared on Joystiq on Wed, 31 Aug 2011 17:00:00 EST. Please see our terms for use of feeds. For just $14 you can be running around in a fancy suit of robot armor, blasting away at soldiers and robots. 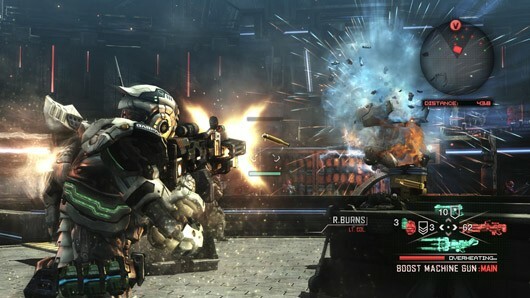 Well, not you physically -- we're not sure we'd trust a $14 suit of robo-armor, ourselves -- but you, controlling Sam Gideon in the Xbox 360 version of Vanquish. Newegg is offering the game for just $13.99, plus free shipping, to anyone interested in learning how to do the electric(ally assisted) slide, and firing entirely too much heavy weaponry into bosses' glowing weak points. Vanquish slides to just $14 at Newegg originally appeared on Joystiq on Wed, 31 Aug 2011 16:40:00 EST. Please see our terms for use of feeds. Forgoing the usual AAA disc release, Criterion decided the next entry in its Burnout franchise would be a downloadable title featuring Kinect integration. My initial preview of Burnout Crash!, following its unveiling at EA's summer showcase, focused on how the main modes and how gameplay works. The game has come a long way just over a month later -- as it should have, since it's kinda launching soon. My experience with the Kinect Party mode and Autolog earlier this week showed me that Burnout Crash! stands out as a fun party game. Burnout Crash! preview: Kinect Party on the Autolog originally appeared on Joystiq on Wed, 31 Aug 2011 16:20:00 EST. Please see our terms for use of feeds. Wired has posted an image purportedly taken from the European Call of Duty: Modern Warfare 3 Hardened Edition, which reveals the super special incentives contained therein. The hottest of the bonuses is a one-year premium membership to the Call of Duty Elite social platform, which nets you a "Founder status" designation -- a rank which includes an exclusive in-game emblem, player card, and camouflage, as well as an XP boost for your Elite clan. Other bonuses include a (literally hardened) steel case, new disc art, a PSN-exclusive theme and Xbox 360-exclusive "Special Ops Juggernaut" Avatar outfit and a 100-page "field journal," which contains sketches and notes from the frontline. We've contacted Activision to see if this edition is legit, and whether or not it's coming to America -- though we'd wager it'll be the same in both territories, as it has been in Call of Duties past. Report: Modern Warfare 3's Hardened Edition contents revealed originally appeared on Joystiq on Wed, 31 Aug 2011 16:00:00 EST. Please see our terms for use of feeds. 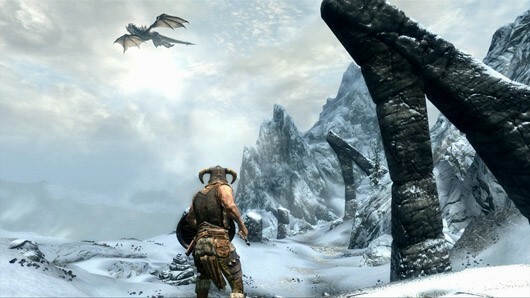 November 11 is fast approaching and that means that Bethesda Game Director/Executive Producer Todd Howard and company are putting the finishing touches on The Elder Scrolls V: Skyrim. But with a game this massive, is there really such a thing as "finished"? How do you know? "I guess we just kind of know," Howard told us at PAX. "Content wise, we want to have a lot, and we want it to work well together. Mainly we're looking for a saturation of activity -- is there always something to do, without being overwhelmed. As the project goes on, we're finding areas where there isn't enough to do, and we keep adding. So the game always ends up a lot bigger than we anticipated. Todd Howard on Skyrim's worthwhile glitches, MMOs and when big is big enough originally appeared on Joystiq on Wed, 31 Aug 2011 15:40:00 EST. Please see our terms for use of feeds. Amazon's Video Game Deal of the Day kind of comes with other deals built-in. The retailer is bundling a $75 credit with sales of the 250GB Xbox 360 hardware bundle, which is priced at $300. So, by buying this, you instantly get at least one free game to go with it. Unless, of course, you choose to use that credit in other ways -- that's up to you. Maybe you want to buy a bunch of Microsoft Points. That works! Or maybe you want to wait on the whole Xbox 360 game thing for a while, just watch Netflix on the console, and buy $75 worth of Cyber Clean to make a horrific lint-eating blob. Totally your call. Get $75 credit with purchase of 250GB Xbox 360 today originally appeared on Joystiq on Wed, 31 Aug 2011 15:20:00 EST. Please see our terms for use of feeds. Fashion gets fun in a new ad from Lanvin, featuring the song "I Know You Want Me" by Pitbull and uncredited choreography that should be familiar to anyone who has played Dance Central. We wanted to make sure we weren't seeing things, so we checked with Harmonix to find out if they recognized the choreo. "It appears to be a combo of moves from a few songs off Dance Central, so they must have had the models bustin' for a while," Harmonix's communications director John Drake told Joystiq. "It's pretty clear that everyone wants to play multiplayer in Dance Central 2, whether you're wearing sweat pants or couture fashion. Though you might work up quite a sweat doing full body choreography in the fall line." Yes, John. But we'd look fabulous doing it! Dance Central choreography featured in fashionable Lanvin ad originally appeared on Joystiq on Wed, 31 Aug 2011 14:00:00 EST. Please see our terms for use of feeds. If you take away anything from this video tour of the upcoming Call of Duty XP event, it'll likely be the promise of how "insane" everything will be. But without a Kanye spotting over the entire two-minute clip, we're reserving that adjective for now. 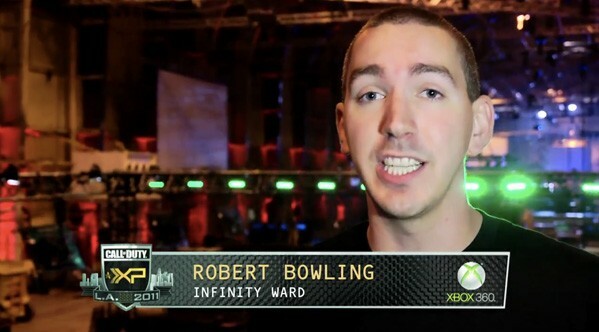 Take a tour of Call of Duty XP with IW director of rapid zooming, Robert Bowling originally appeared on Joystiq on Wed, 31 Aug 2011 13:30:00 EST. Please see our terms for use of feeds. "The only constant in this world is change." Wait, no, that doesn't work. "You can't change the past, but you can work to change the future." Nope, that doesn't do the trick either. "War. War never changes." No, wrong game. Hm. Here's the thing: The Baconing has a lot more of the same DeathSpank flavor you're likely used to, but without a lot of the stuff that made DeathSpank good. I guess there's not a cliched "change" quote that quite works there, huh? Sure, the self-obsessed hero of Hothead's first two DeathSpank games is still there. There's still a whole bunch of quests strewn throughout a whimsical and colorful world. And yeah, the writing is still laden with puns and excretory humor, and is presented by a cast of solid comedic voice actors. The hero to the downtrodden still gets wacky loot like the mafioso-looking Pinstripe Platemail as he hacks and slashes his way through bizarre enemies. All that stuff is still there -- but, sadly, it's hidden under a mound of major problems. The Baconing review: Hacked and slashed originally appeared on Joystiq on Wed, 31 Aug 2011 13:00:00 EST. Please see our terms for use of feeds.